When five teens unexpectedly find themselves in detention no one suspects that only four of them will make it out alive. In a Breakfast Club-style set up we meet Bronwyn, Addy, Nate, Cooper and finally Simon who is well-known for running his very own gossip app where he reveals the deepest, darkest secrets of everyone in the school. The day before he planned to reveal private details about the other four students things take another surprising turn when Simon doesn’t make it out of detention alive. When it is discovered that his death was not an accident the rest of the group find themselves accused of murder – question is, who is lying? The story is told from multiple points of view, with chapters alternating between the four main characters accused of Simon’s murder. Although you go into the story unsure of who you can trust, one of the likable things about the main characters is that they are all flawed and have mistakes in their past, making them more realistic. Although they all seem to fit the usual high school stereotypes and don't quite manage to fully escape this, the members of this group do each seem to grow and develop throughout the story as more of their personalities and secrets are revealed. The intriguing addition of Simon’s gossip app gives the story a touch of Pretty Little Liars/Gossip Girl vibes and adds both a motivation for the crime and another layer to the mystery. This combined with the multiple perspectives makes for a gripping ride and there are quite a few curveballs to keep the reader guessing throughout. Without giving anything away, the ending itself wasn’t my favourite but I enjoyed the mystery element and found the book to be a quick and addictive read. 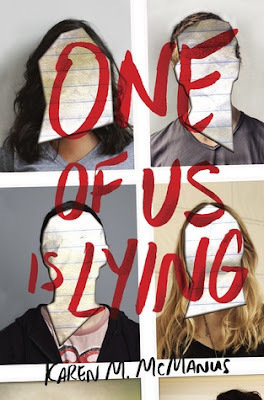 One Of Us Is Lying is an exciting debut that I’m sure will be popular with the YA audience - we’ll definitely be hearing a lot more about it! *Book provided by NetGalley for an honest review. A collection of "what if" scenarios that all lead to death. The different forms of death are described scientifically through experiments and real-life examples. Such hypothetical situations include falling into a black hole, inability to sleep, being raised by buzzards, digging a hole to China and more! This is an interesting compilation of "what ifs" that I never knew I wanted the answers to. It also clarified a few things for me. For example, I've heard Neil DeGrasse Tyson saying that falling into a black hole would lead to spaghettification, but did not know it would also involve being diced. A number of the details in the book are quite gruesome (it is a book about a lot of ways to die) but are necessary for the scientific accuracy. The authors clearly did their homework in each scenario and present it in an easy to understand manner. The only problem I had with this book is that it kinda got boring after a while. It was fun(ny) at first, but after a while it felt a bit repetitive. The scenarios were all different, but they all ended the same. Either that or I'm just not as interested in death by chocolate chip cookie, death by magnets or death by a trip to the sun. Overall, though, if you have a run of morbid curiosity, this is definitely the book for you. Or if you're looking for answers to your kids questioning why getting hit by lightning won't give you superpowers, this book will prove helpful. It's got a good amount of trivial and important information. There are many things that fill a book lover's heart with joy. One of them is the sight of an insta-worthy bookshelf brimming with books. 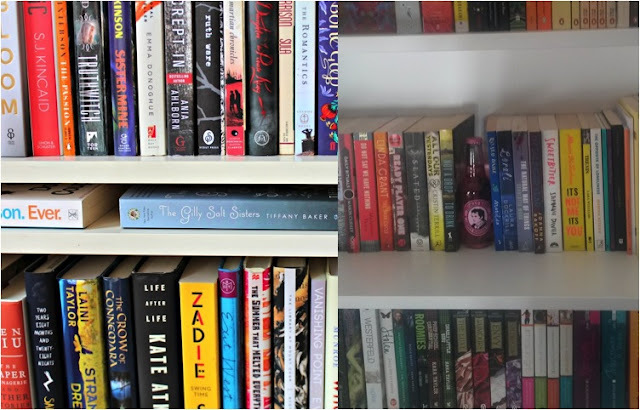 So for this month's post we asked our contributors to give us a glimpse of their own bookshelves and send us pictures of their bookshelves - or SHELF-IES. Check out their photos below. Thanks to all of our contributors this month. 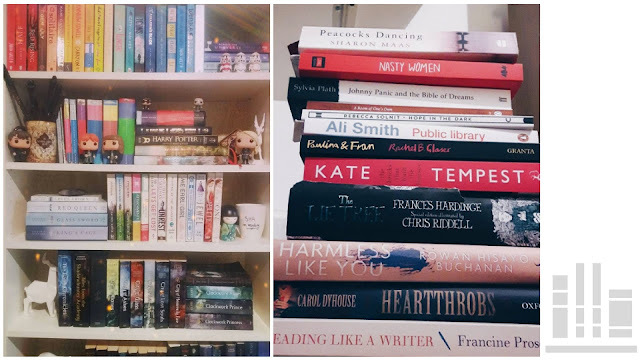 If you want to keep sharing your Shelfies tag us on Instagram with #BBShelfies. Next month we'll be asking for your Summer read recommendations. If you'd like to be involved with this and future group posts drop an email to bloggersbookshelf@gmail.com or keep an eye out on our Twitter for updates! Dimple can't believe her luck when her parents agree to let her attend a summer program for young coders. She isn't just excited for the six weeks she'll spend creating a new app at Insomnia Con but also because her parents finally seem to be accepting her passion for all things tech. She's much less excited when she meets Rishi and discovers that her parents really agreed to let her attend Insomnia Con because they knew that he would be there too. Dimple and Rishi's parents have decided that their children would be an ideal marriage match, something Rishi is fully on board with. Dimple, however, is most definitely not. Dimple is at Insomnia Con to win with her app idea and meet her idol. Rishi... well Rishi's mostly there at his parents wishes and Dimple is unimpressed to discover that he doesn't know the first thing about coding. When Dimple Met Rishi is definitely a unique YA read. It's the first one I've come across where arranged marriage plays such an big part in the plot but that's not the only reason that this novel stands out. Dimple and Rishi are both appealing and dynamic characters, and you just can't help but root for them both from the very beginning. Dimple loves her family but with her passion for coding and her desire to go against so many of her parents' traditions, she feels like she is a disappointment to them, and they just don't seem to understand her. Rishi on the other hand is every part the dutiful son, living up to his family's expectations to the point where he is about to give up his passion of drawing comics for the sensible career that his parents want him to have. The novel follows both Rishi and Dimple during their six weeks at Insomnia Con as they overcome their awkward first meeting and begin to find some common ground and help each other in ways they didn't realise they needed. It's a sweet love story, full of the intensity of first love, but it's about Dimple and Rishi's relationships to their families and themselves as much as their relationships to each other. With such an abundance of absent parents in YA novels, this is one of those refreshing few where family aren't just important to the main characters, but central to their stories. If I have one small complaint it's only that for a novel set at a coding camp, there isn't a whole lot of coding. With so much talk of Dimple's passion for it, it's a shame that we don't ever really see her doing it, the way that we see Rishi drawing. There is however a talent competition that makes for excellent reading and really, what a small complaint for such a great novel. 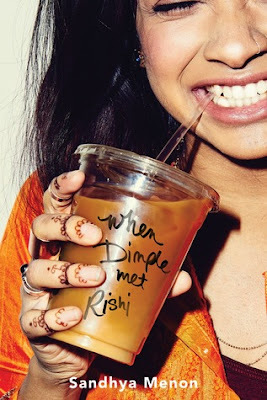 When Dimple Met Rishi is warm, funny, and a perfect read for summer. It's time to check in and see how everyone is getting on with their 2017 challenges! Normally by this stage in the year I might not have even gotten through 1 of my Vow to Read books, so I'm rather pleased with the current 2. I'm also super stoked with my reading challenge so far. According to Good Reads, I'm 8 books ahead of schedule. My favourite book of the year so far has been Strange the Dreamer, by Laini Taylor. Amazing! Whilst I've only read one of my five 'vow to read' choices so far I have another one lined up on my Kindle ready to read soon. I have also managed to cross fourteen prompts off of the Popsugar 2017 Reading Challenge - if you missed my latest update you can catch it here! Of the five books I mentioned in January’s post, I have only read one–Are We Smart Enough to Know How Smart Animals Are? by Frans de Waal–which, unfortunately, was a big flop. The science is fascinating but the author presents it in the most tedious way possible. I hope to read the other books on the list this summer and fall. I have been making great progress with some of my other reading goals, especially the Modern. Mrs. Darcy 2017 Reading Challenge, which I am participating in. I’m ahead of schedule for once! Yay! So far I have read only one of my vowed to read books, 'The Graces' by Laure Eve, I enjoyed this mystical and magical story and would like to read more books with a witchy theme. So that's how we're getting on with this year's reading challenges so far. We'll be checking in again throughout the year, so keep an eye out for updates. Don't forget to leave us a comment and let us know how you've been getting on with your own reading goals and challenges for 2017! 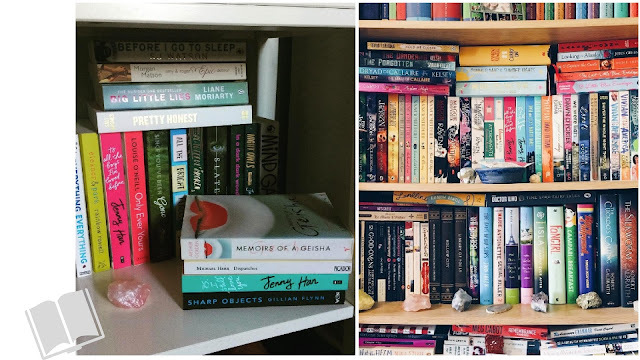 Get Involved | Show Us Your Shelfies! For our May group post we're talking bookshelves and we would love you to share your shelfies with us! If you want to get involved we'd love to hear from you and will need your shelfies by 24th May. We're looking forward to seeing all of your beautiful bookshelves! Despite only sharing my second Popsugar Challenge update last month I've managed to cross off five more prompts from the list of fifty-two, making a total of fourteen so far. 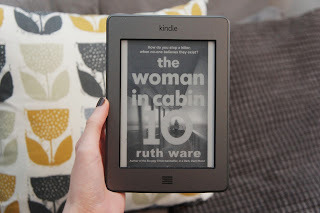 Having sped my way through In A Dark Dark Wood as part of the 5 Books 7 Days readathon last year I was keen to find out more about Ruth Ware's second novel The Woman In Cabin 10. At first I wasn't too sure whether I'd find any challenges on the list that it would work for however this thriller centres around a travel journalist and takes place on a luxury cruise so definitely involves travel, even if it isn't the main focus of the book. Released shortly before she sadly passed away last year, this book is based on diaries actress Carrie Fisher kept as a teenager on the set of the first Star Wars film - the perfect fit for this prompt. Juno Dawson's latest release switches between Fliss' life in the present day and the 1940s diary entries of her grandmother Margot. This format works so well for the story and I'd definitely recommend checking this one out if you haven't already. If you missed my mini review of the book you can catch it here. Obviously this prompt was an easy one to cross off the list as there are endless amounts of titles to choose from. I read the first book in this duology - Sofia Khan Is Not Obliged - for the prompt 'a book with a title that's a character's name' and was keen to read the sequel on it's release. I didn't enjoy this one quite as much as the first but would like to read more of Ayisha Malik's writing in the future. Actress Lauren Graham's debut novel was something I'd been planning on reading for such a long time so I felt it would fit this particular challenge perfectly. The book follows Franny Banks, a young woman who moved to New York two and a half years earlier with a deadline of three years to achieve her goal of becoming a successful actress. Want To Write For Blogger's Bookshelf? We're Recruiting! Here at BB we currently have six awesome writers and we're looking to add another member to the team! Don't forget, we're also always looking for guest bloggers! If you don't feel like you want to join the team but would like to submit a guest post or review we would love to hear from you - please do get in touch! 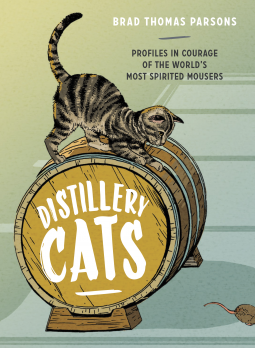 A collection of short, short stories about cats who "work" at distilleries and their portraits, along with quotes about cats and drinks from the distilleries based on the cats. This is such a cute book. The fact that the stories are true and you can follow up on a lot of these via Instagram just makes it all the better. The only downside to this book is that it's such a quick read. I really hope the author comes up with some kind of sequel (Bookstore Cats, please!). I haven't tried any of the drink recipes included, but it was still interesting to see which drinks the distilleries feel are their best. A lot of the stories are very heartwarming. Almost all of the distillery cats are adoptions. The rest are cats who set up shop, daring anyone to try to make them leave. This is a great book for cat lovers and drink lovers! On her way to join her betrothed, the emperor's son Minamoto Raiden, Hattori Mariko is ambushed and left for dead by an infamous group of bandits known as the Black Clan. In an attempt to prove herself worthy of more than a political marriage to further her family's standing Mariko disguises herself as a peasant boy and makes a plan to infiltrate the Black Clan, find out who hired them to kill her, and exact her own revenge. But as Mariko spends more time with the Black Clan's leader, Ranmaru, and his second-in-command, Ōkami, she begins to see that things aren't as simple as she once thought. 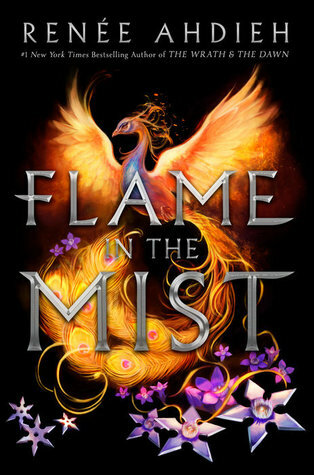 Flame in the Mist had an interesting premise. A girl who longs to invent things and be of more use to her family than the standard role of being a nobleman's daughter allows, bandits who are more than they appear, and a dash of fantasy for good measure. Unfortunately, although entertaining enough to read, Flame in the Mist falls just below the mark on more than one of these counts. Mariko is a great idea for a character. She is very smart, with a mind for inventions, and a desire to be and do more than her family allow. Unfortunately the reader is simply told these facts over and over, with very little in the way of actually being shown these aspects of Mariko's personality. Mariko does invent things, such as throwing stars and smoke bombs, but her motivations often seem muddy at best. What is clearer is Mariko's motivation to infiltrate the Black Clan in the first place. Mariko's desire to end her life's pattern of being ordered around by men is a constant thread throughout the story and something I, for one, never fail to enjoy seeing in YA fiction. If there is one strength here it is in Mariko's need to align herself within her growing relationships with the Black Clan and her lasting allegiance to her family and her brother, who will not rest until he finds her. It is only a shame that these relationships are let down at times by an inability to really see who Mariko is as a person, rather than simply being told what she is. You may have seen Flame in the Mist described online as 'Disney's Mulan set in Feudal Japan' but, aside from Mariko's time spent disguised as a boy in a camp of men, the two stories really have very little in common, which is likely a good thing. Mariko's story is interesting in its own right. However, this entire novel almost feels like a set up for the real story, the true beginning of which is revealed in the last few pages. With the elements revealed to the story in the last few pages of this book, there is every chance that the next in the series may be full of a lot more excitement and, hopefully, a lot more character but I, unfortunately, will probably not be picking it up to find out. 1. Treat Yourself! - these days there are so many bookish subscription boxes available we can't keep up! If you'd like to treat yourself to a book box but are having trouble trying to figure out which one is right for you Heather's video looks at a variety of options and includes helpful tips to help you decide. 2. Connecting Through Fandoms - in this Buzzfeed article Rebel Of The Sands author Alwyn Hamilton talks about her experience growing up and finding a place through books and fandom communities. 3. Book Storage - in this post Heather talks book storage, showcasing her beautiful new invisible bookshelves. She also shares a mini book haul! 4. Join A Club - in our previous post we mentioned Belletrist, a new book club from Emma Roberts. 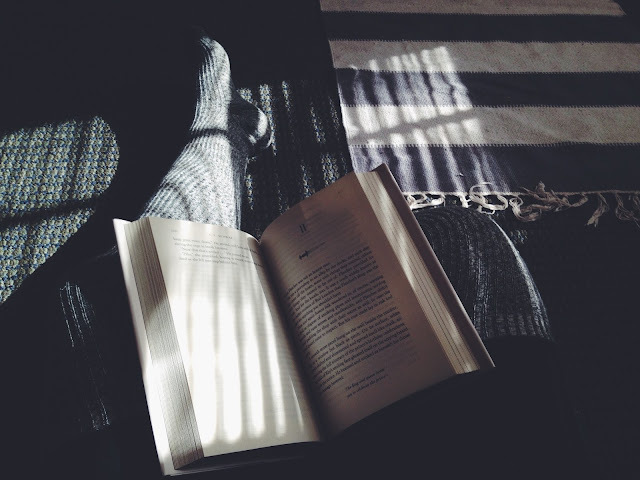 This post over at Brit + Co. shares some more celebrity book clubs that should be on your radar. 5. 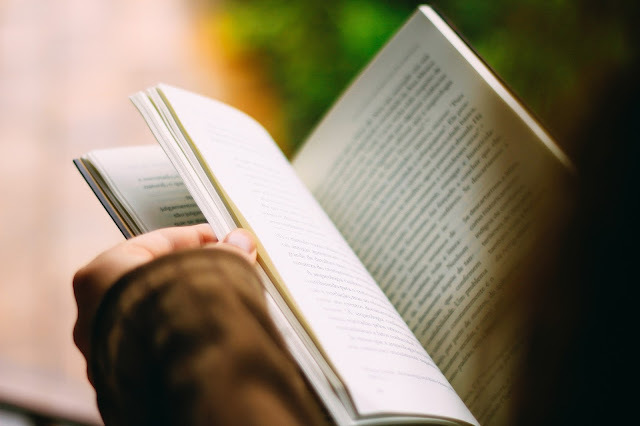 Unread Gems - we enjoyed this recent post from Bee, who talked all about the owned but unread books that she thinks she will love. Which books would make your list? 6. Pre-school Reads - if you're looking for the perfect book for the little ones in your life check out this list of 10 Modern Classics from Ilana over on the website of mum-to-be Lauren Conrad. 7. 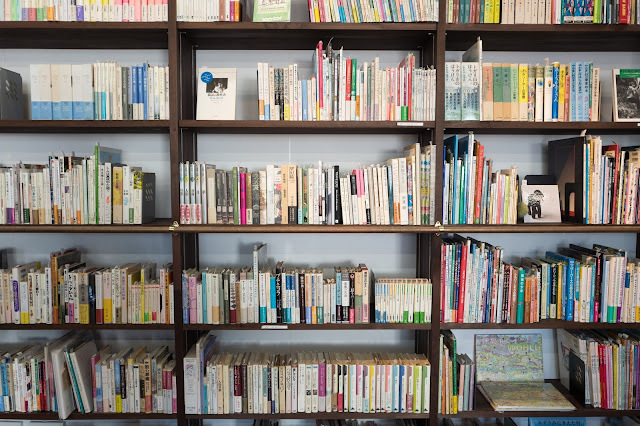 Rediscovering The Library - whilst Ria was off exploring India last month she had some wonderful guest bloggers over on Thoroughly Modern Millennial, including Lucy who wrote all about her relationship with libraries. 8. Team Paperback? - this post is for anyone who has ever wondered what it would be like to give up the paperbacks and switch to ebooks for a week! 9. Listen Instead - if ebooks aren't your thing perhaps audiobooks could be a great alternative? In this post Renu discusses why she loves the format of audiobooks so much. 10. 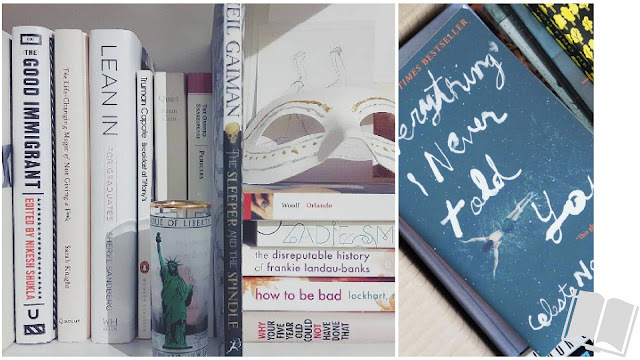 Contemporary Recommendations - we're finishing up this month's post with a list of nine Contemporary titles Anisha believes everyone should pick up! Have you read any of these books? Alosa is the only child and daughter of the Pirate King. He rules and terrorises the waters, and he's after something. Something only Alosa can get a hold of. While the Captain of her own ship, she purposefully gets kidnapped by another pirate ship so she can search the decks for a lost piece of map that will lead, when placed with the other 2 parts, to the Isla de Corta. Captained by a ruthless young man, her 'captors' treat her rough on the ship, but she's no lady in waiting. Alosa soon learns about Captain Draxen and his first mate and brother, Riden, and how best to get around them and the other pirates on the ship. Can she find the map before her mission is blown, or is she destined for a life in a cold ship cell? Firstly, I loved Alosa. The front covers boasts the character as 'a female Captain Jack Sparrow' and if you love a bit of Pirates of the Caribbean like I do, then you're off to a good start. Alosa is this fierce young red-headed woman with a fantastic sense of humour and a cunningness about her which definitely rivals Captain Jack. She's a woman on a mission, and she tries hard not to let being trapped, underestimated, or her feelings towards a certain first mate get in the way of that. She succeeds in some areas, not in others. The other characters in the book, like Riden and Draxen, are all so different that it's a joy to read each part. The pirates on the ship all have their quirks and vices, and Alosa works those into her plans. Definitely look forward to more of them in future books. The plot, while simple in some ways, had a great amount of keep-you-on-your-toes pages, and while the fantasy element wasn't really evident until about half way through the book, as soon as it was brought up in the beginning I began to wonder. This spin on the story wasn't a surprise to me, but it was still done very well and I applaud Levenseller for that. Pirate stories aren't really around much in YA books, but they should be. I thoroughly enjoyed this book, 5 stars from me, and can't wait for the second one due for publication in 2018. 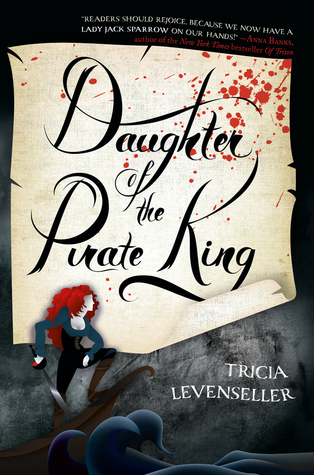 Let us know if you've read Daughter of the Pirate King and what you thought. Or drop a comment if you have suggestions of other YA pirate books that I don't know about. 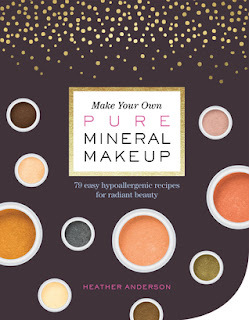 Make Your Own Pure Mineral Makeup is a beautifully designed guide packed full of DIY recipes as well as detailed information on everything from ingredients to equipment, skin types, safe use and more. The product recipes include easy to follow step-by-step guides and there are full-page photographs showcasing a range of different makeup looks created using the products. There are also many helpful tips included, for example the eye shadow recipes share which colours they will pair well with, which eye colour they suit best as well as other uses as many of the products are multi-purpose. In addition to the recipes the book includes everything you need to know from guides to face shapes, to advice on the best tools and even how to go about creating and promoting your own brand of mineral makeup. Handy trouble-shooting tips are scattered throughout and an in-depth ingredient glossary makes this a perfect reference book. Overall I'm very impressed by the book thanks to the attention to detail and amount of information included. It’s clear to see that author Heather Anderson is very passionate about mineral makeup and this book proves she really knows her stuff. I would highly recommend picking up a copy if you are interested in mineral makeup, whether it be making your own or finding out how to include more non toxic products into your routine. The glory days of space piloting have been over ever since mathematicians discovered Quantunneling, allowing people to travel astronomical distances instantly. As a result, many out of work space pilots resort to taking bored tourists on small trips for pennies. The hero of this story is one such space pilot who thinks he's getting a quick, cushy gig playing the role of space hero, only to suddenly find himself on the run. This was an entertaining read that kept me up all night. In the entirety of the book, there was only one thing that I was able to predict and it was in the first part of the book. The rest of the book kept me engaged because I honestly didn't know what to expect next. We only get to read the book from the main character's perspective so we only know what he knows. Turns out, he's out of the loop on a lot of things. In a previous book by this author, Mogworld, I enjoyed his playing around with words. And this book is similar. Because mathematics created Quantunneling, and Quantunneling put the space pilots out of business, mathematical terms became dirty words. As a result, this is a very clean book with only one or two dirty phrases. After the first couple of chapters, hearing someone referred to as a "bracket" no longer seems out of place. It's a rather natural linguistic turn that helps to create and sell the world. I really don't think there was anything in this book that I didn't like. 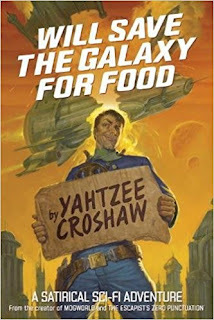 Yahtzee covers a lot of fictional and science fictional tropes within this satire, but they feel like they are a natural part of the world. From Angelo, a space pilot who'd gone native on another world until the princess dumped him, to evil corporate overlords with spoiled children. This book takes place outside of our world, but everything that Yahtzee put into it felt like a natural addition. Nothing was added or mentioned for no purpose and nothing felt out of place. And I STILL couldn't predict anything! The ending for this book wasn't the grand boss battle that I usually like for my sci-fi books. Instead, I got an ending that I didn't know I wanted until I got it. It was a great way to end the book and leave me with with a satisfied smile. So, if you are at all interested in satirical sci-fi novels, I highly recommend you pick this up. 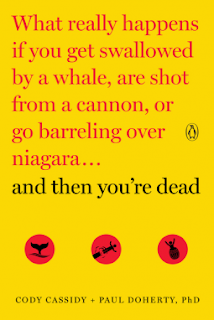 Yahtzee has an amazing sense of humor that is complimented by his intelligent story telling. I greatly enjoyed this book and am very glad that I bought it. I will be picking up more of Yahtzee's books.